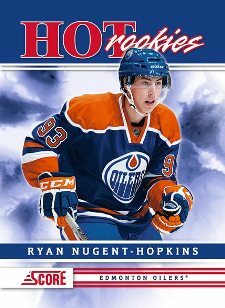 Nobody will argue that Ryan Nugent-Hopkins cards are hot. As in scorching hot. But he's not the only first-year player worth collecting. In fact, there are several hockey rookies worth collecting this season. However, because of the strict NHL rookie card rules, for many of these players there's only a few cards to chase thus far. But over the next couple of months collectors can expect to see a surge in new cards, including autographs and memorabilia cards. 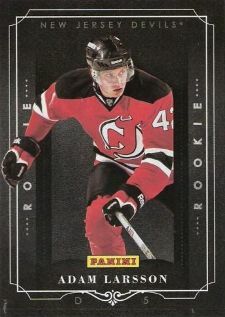 Here's a look at some of the best 2011-12 hockey rookies to consider adding to your collection as well as current pricing trends for key cards that have already been released. Not only is Ryan Nugent-Hopkins the hottest rookie this season, he's one of the top players in the entire league. Averaging over a point per game, Nugent-Hopkins has answered his critics who questioned whether he was ready for the NHL. The first overall pick in the 2011 NHL Draft, Nugent-Hopkins is a key player on a young Oilers squad that could very well mirror the success of the Pittsburgh Penguins a few years ago. His 2011-12 Upper Deck Hockey rookies are averaging between $80 and $100. Despite far fewer listings, the super short print 2011-12 Score Nugent-Hopkins card is selling for about $40 and could prove to be a bargain despite the lack of brand prestige. 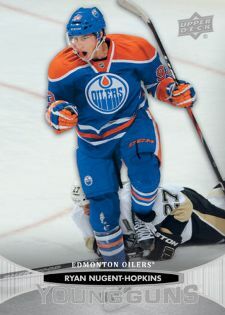 Shop for Ryan Nugent-Hopkins hockey cards. 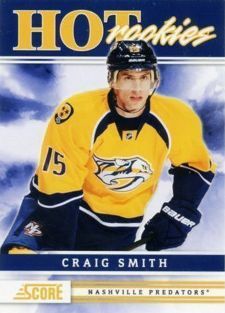 Currently leading the Nashville Predators in goals, power play goals and points, Craig Smith has been largely overlooked by collectors thus far. He is the second leading points getter among all rookies behind only Nugent-Hopkins. Smith was picked by the Predators in the fourth round of the 2009 NHL Draft. 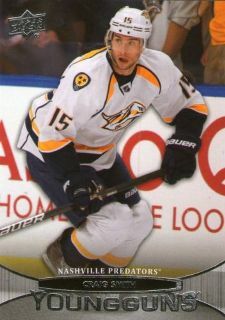 Smith is an extremely tough pull in 2011-12 Score Hockey and may prove to be a solid money-maker for savvy collectors. Currently, only a handful of the short printed cards are listed on eBay. Recently closed auctions have finished in the $12 to $15 range. Contrast that with the more than 100 2011-12 Upper Deck Hockey Craig Smith listings and the rarity of the Score card becomes apparent. Smith's Upper Deck Hockey rookies can be had for $10. Shop for Craig Smith rookie cards. The third-leading scorer on the Sabres, Luke Adam actually debuted last season by playing in 19 games. However, it wasn't enough to disqualify him from being a 2011-12 Calder Trophy candidate. Because Adam debuted last year, collectors already have a ton of hockey card options for the center. His top rookie card comes from 2010-11 The Cup. Numbered to 249, the card features both an on-card autograph and a patch swatch. The card is currently selling for between $80 and $100. Adam's 2010-11 Upper Deck Hockey rookies are a more affordable choice at $10 to $15. Shop for Luke Adam hockey cards. The second pick in the 2011 NHL Draft, collectors will need to be patient with Gabriel Landeskog. While there were many comparisons to Nugent-Hopkins leading up to the draft, the young Avalanche winger is still a teenager and developing. Among the top ten scorers on his team, Landeskog is proving that he belongs in the NHL already and will eventually develop into a stronger scorer. Given his tremendous upside and high draft position, Landeskog trails only Nugent-Hopkins in rookie card values. His 2011-12 Upper Deck Hockey rookies are moving at about $15, while his 2011-12 Score rookie is selling for around $8. 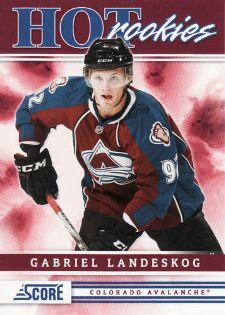 Shop for Gabriel Landeskog hockey cards. Currently sitting third on the rookie points board, Adam Henrique also the second leading scorer on the New Jersey Devils. He's even got more points than superstar Ilya Kovalchuk. A third round pick in the 2008 draft, Henrique was also a part of the 2009 Memorial Cup winning Windsor Spitfires. 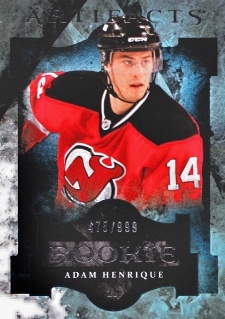 Henrique's 2011-12 Upper Deck Hockey rookies are selling for about $7. 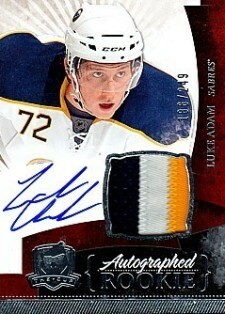 Collectors can pick up his 2011-12 Upper Deck Artifacts rookie, which is numbered to 999 for about the same price. Henrique has an autographed insert in 2011-12 Score, which can be found in the $20 range. Shop for Adam Henrique hockey cards. A bit of a dark horse among the 2011-12 NHL rookie class, Adam Larsson could one day emerge as an elite defenceman. Currently tied for tenth in rookie scoring with ten points, Larsson is racking up lots of minutes for the Devils. $5 to $7 will get collectors either his 2011-12 Upper Deck or 2011-12 Score Hockey rookies. Although an oddball release, Larsson's Panini Black Friday card could emerge as a bargain. Shop for Adam Larsson hockey cards. 18 ARTIFACTS HOCKEY OILERS 3 Card Lot. Puljujarvi, Nugent-Hopkins, Draisaitl.